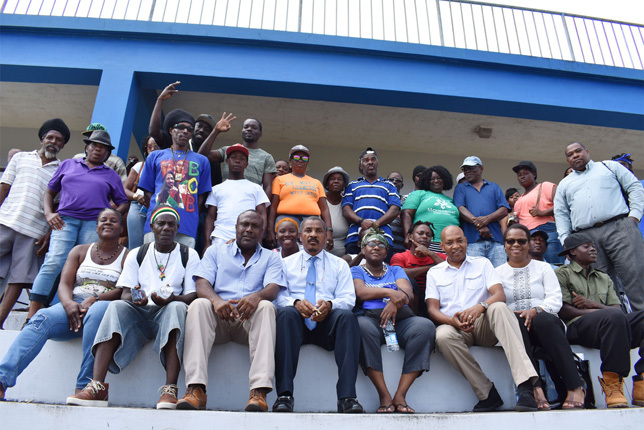 Mr Osbert DeSuza (4th left front row) with STEP staff, and STEP Community Enhancement Workers, and training facilitator Dr Neals Chitan (3rd right front row). 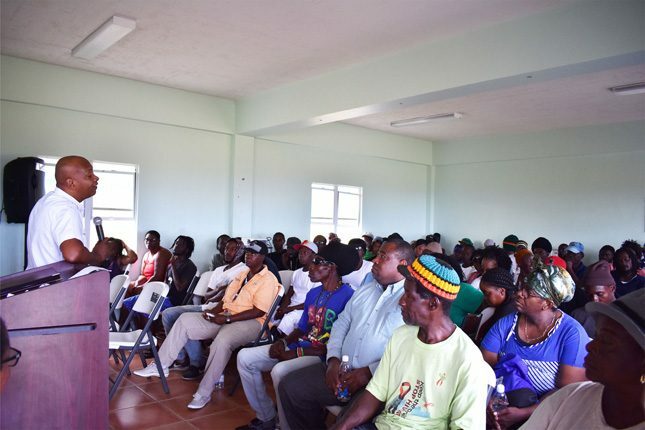 Soft Skills training programme facilitator Dr Neals Chitan with the STEP Community Enhancement Workers at the Saddlers Playfield Pavilion. 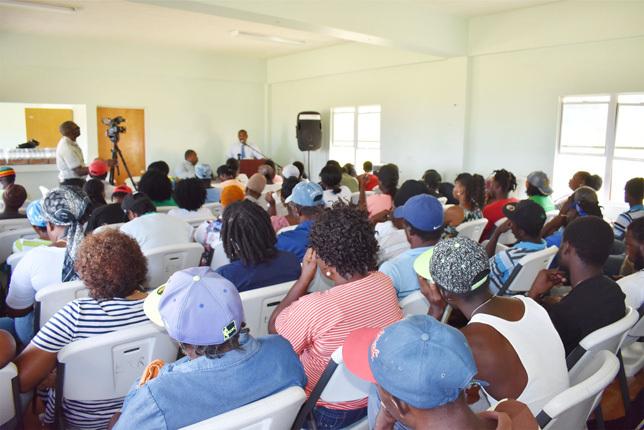 Acting Director of the Skills Training Empowerment Programme (STEP), Mr Emile Greene, addressing the STEP Community Enhancement Workers. 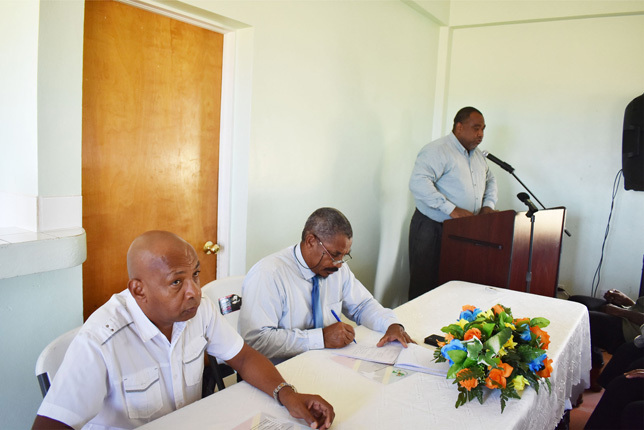 Permanent Secretary in the Office of the Prime Minister, Mr Osbert DeSuza, addressing the STEP Community Enhancement Workers.